A leading firm of chartered accountants and business advisers is urging businesses to take advantage of a new service aimed at simplifying finances and utilising the latest Cloud Accountancy software, such as Quickbooks online and Xero. 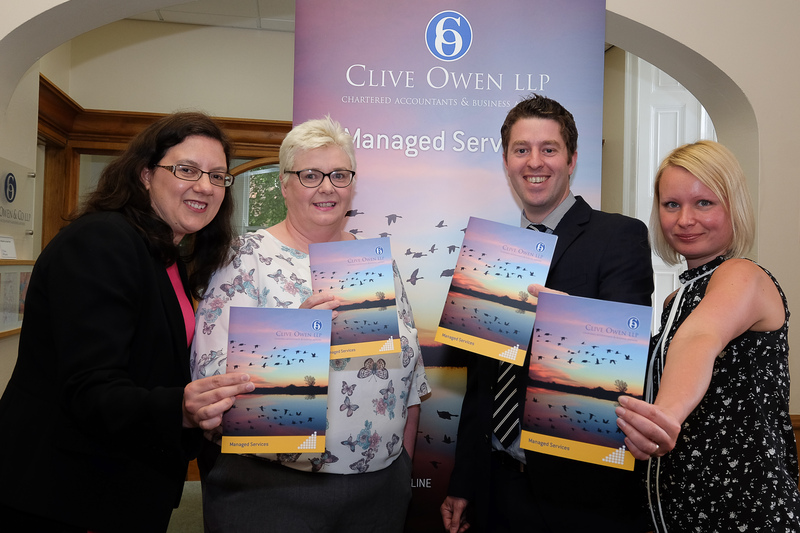 Clive Owen Managed Services (COMS) is the new outsourcing arm of regional-based Clive Owen LLP. Relying heavily on technology, it reflects the trend towards Cloud Accountancy, ensuring owner managers have their latest financial information at their fingertips. COMS has been launched in response to the demand from an increasing number of SMEs looking for help with management information and forecasting. The new service is spearheaded by Ian Jarvis, who began his career in IT and is a strong advocate of Cloud Accounting. It will offer a complete package from bookkeeping to full virtual finance officer role, aiming to support and enhance the speed, efficiency and quality of processes. Also included are payroll and auto enrolment, which carry burdens of administration that are often too heavy for SMEs, with strict penalties now applied for being non-compliant. The new team will assist clients across the region with all aspects of finance, with a key focus on encouraging them to take advantage of the low cost and accessibility of working online. Joining Ian, who has worked for the company since August 2015, are new recruits Maria Perek and Louise Keetley, along with existing audit team members Duncan Bruce, Louise Harrison and Daniel Saynor.